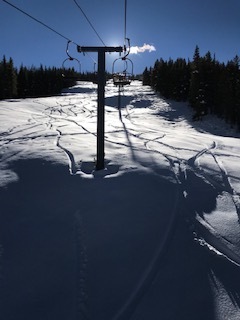 It is hard to believe that another winter season is coming to an end. 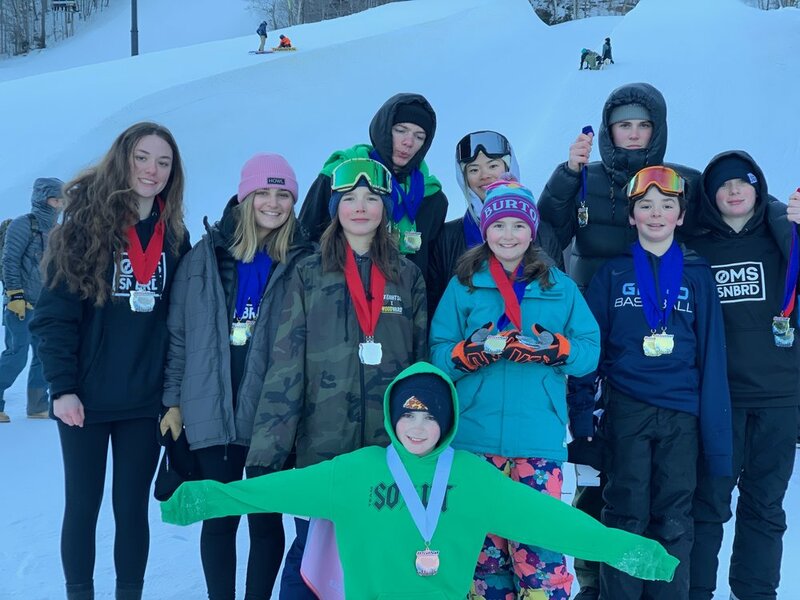 We have certainly gone out on a bang with the U14 & U16 State Championships where we had many top 5 results from Okemo Mountain School and Okemo Competition Center athletes! 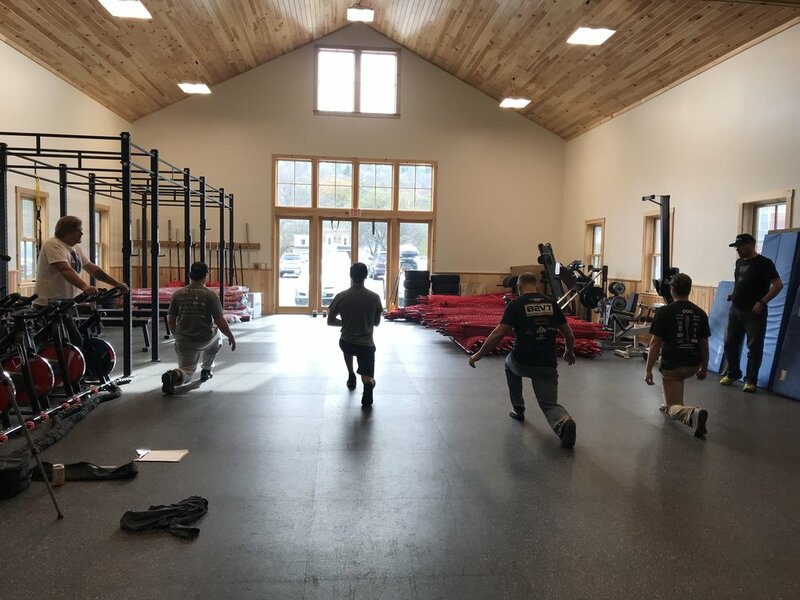 All of our student-athletes have worked hard all winter and whether they placed competitively or not, their dedication has shown in the improvements they have made. 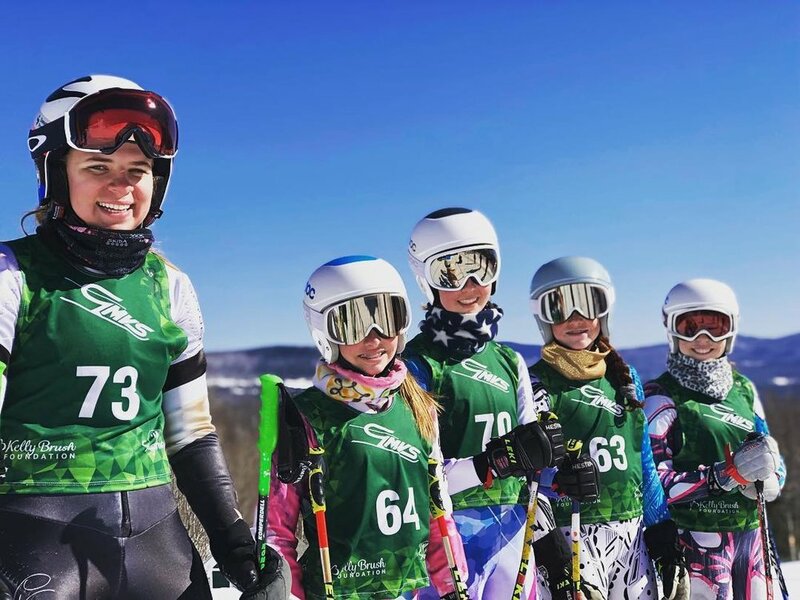 The U14’s competed at Stratton for the Vermont State Championships this year. 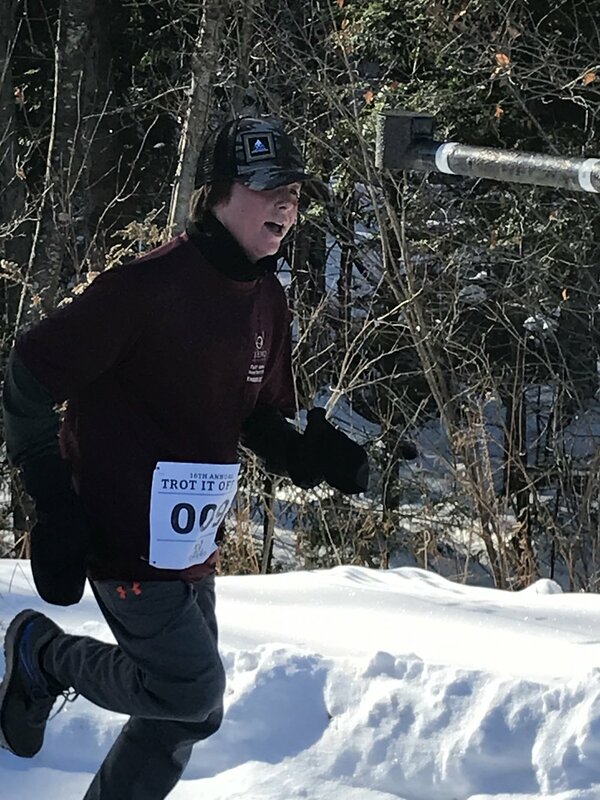 Our female competitors were Merina Visnic, Nina Garbarino, Kiera Laurion, Olivia Weeple, Hayden Nelson, Jillian Ludl, Tia Spenlinhauer, Abby Kelleher, Georgia Chadwick, Graham Stein, and Brooke Bergendahl. 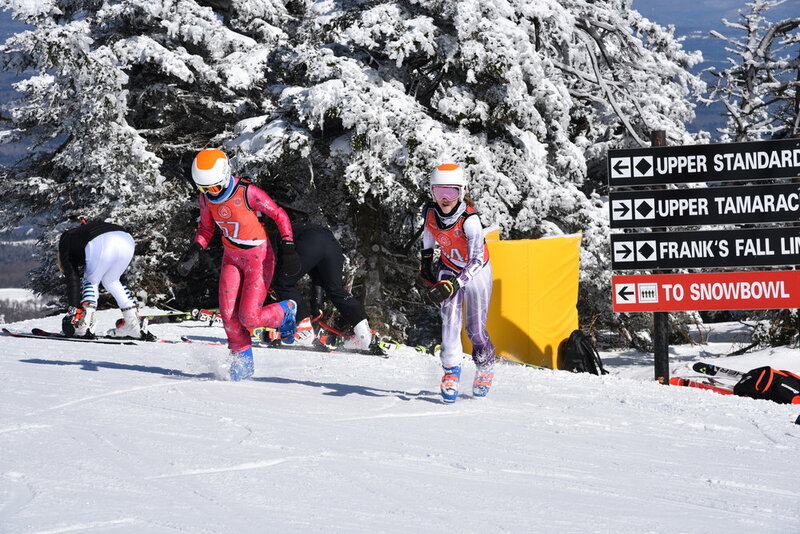 Merina and Nina took 3rd and 4th in the Super G and 1st and 2nd in GS! 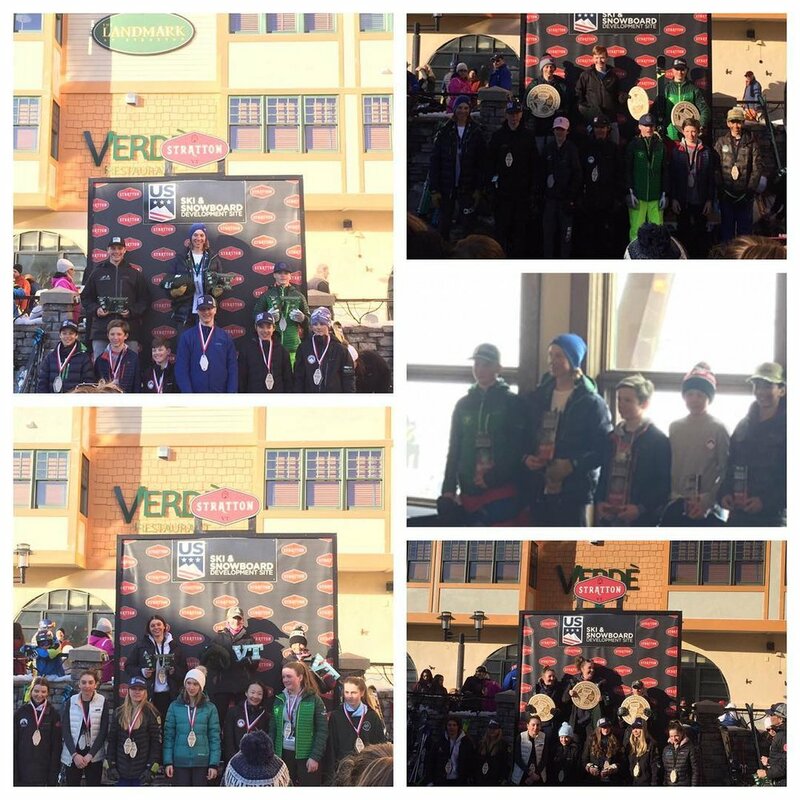 Our U14 male competitors were Josh Rosenberg, Michael Caruso, Christian Carretero, Gabe Dawkins, Kieran Shea, Carter Robinson, Thaddeus D’Andrea, Michael Amato, Cole Firstbrook, and Owen Poodiack. 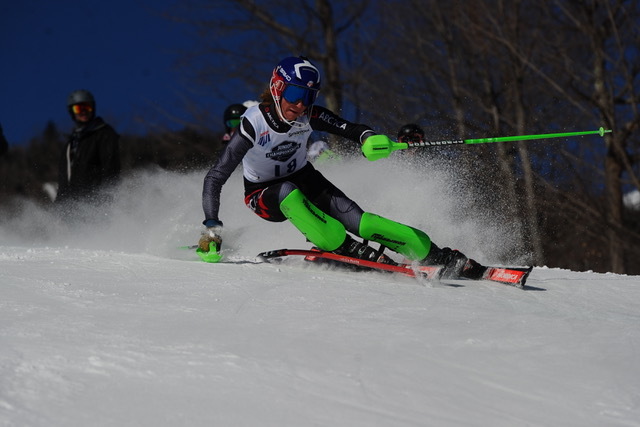 In GS, Josh Rosenberg took finished 1st, along with 4th in Super G and 2nd in Slalom. 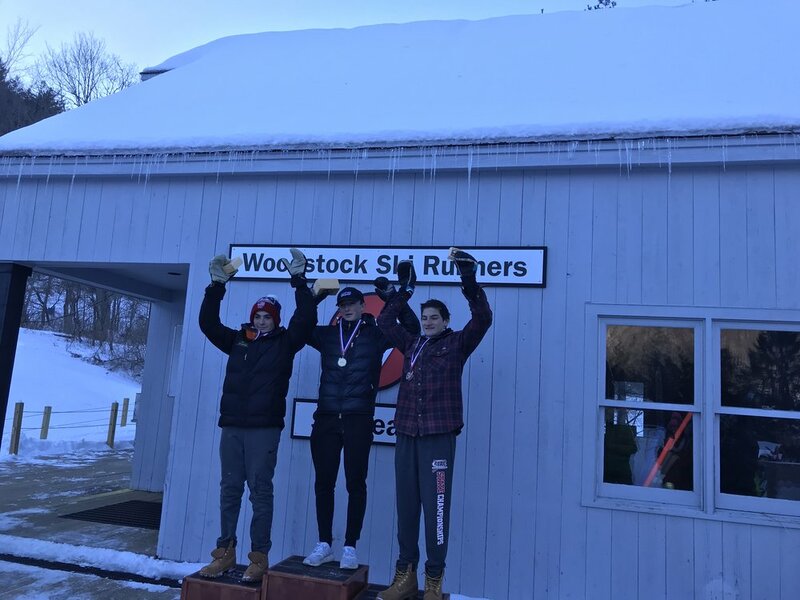 These results granted him the title of the Overall U14 State Champ! 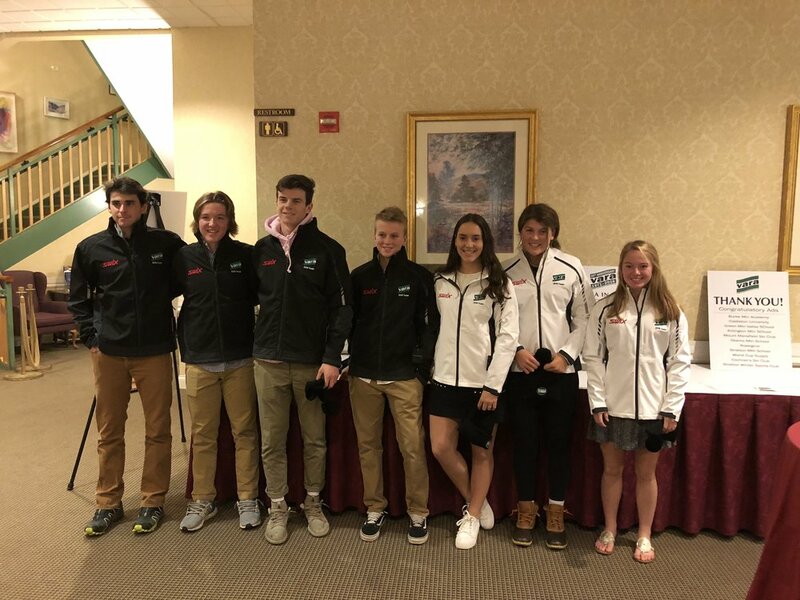 We are also proud to announce that for the U14’s, Josh Rosenberg, Michael Caruso, Cole Firstbrook, Christian Carretero, Merina Visnic, Nina Garbarino made the Eastern Championships! Keira Laurion, Olivia Weeple, Gabe Dawkins, Mike Amato also made the VT/NY Invitational! 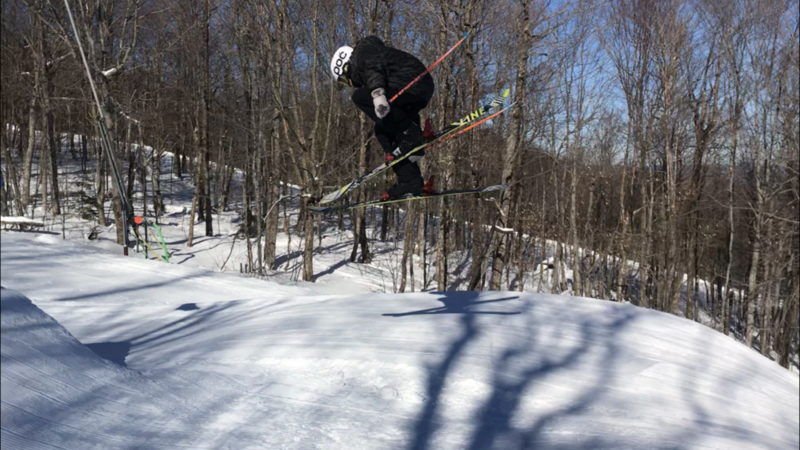 Our U16s competed at Sugarbush for the VT State Championships. 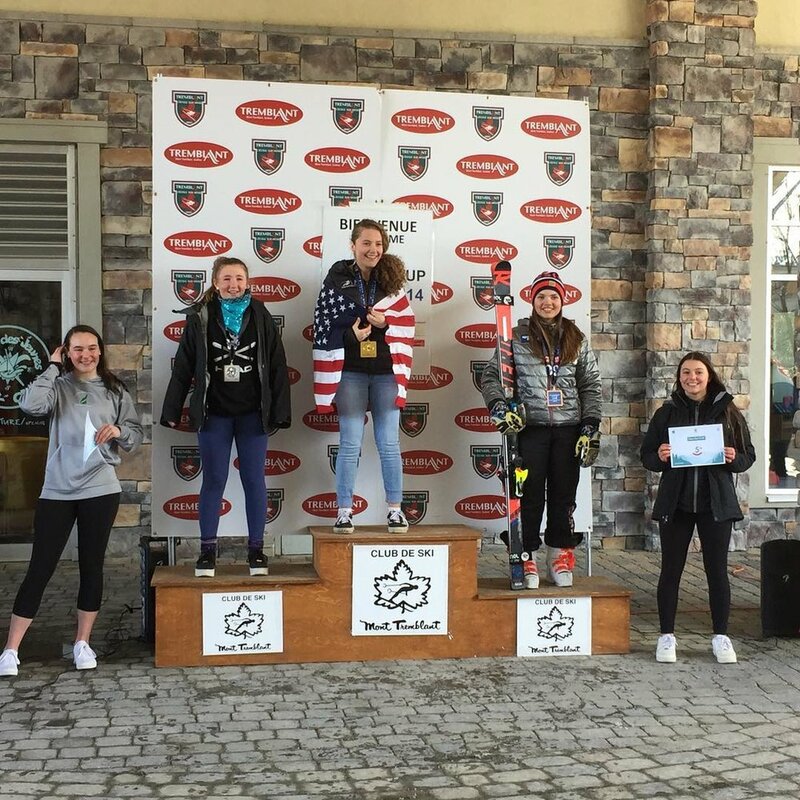 Our female competitors were Reilly Shea, Jenna Mirabile, Maeve Esler, Sarah Bassett, and Erin Kelleher. 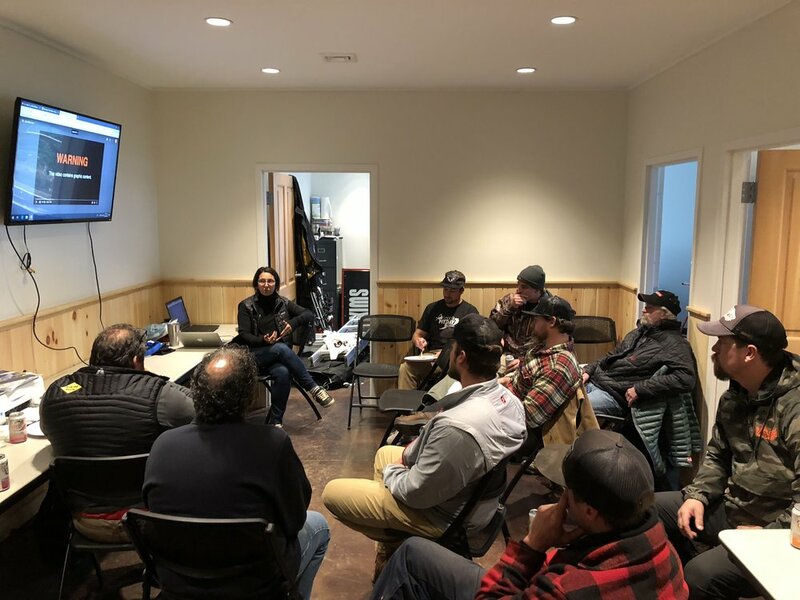 Our male competitors were Drew Visnic, John Kelleher, Ryan Thomson, Christopher Amato, Joseph Flaherty, Freddie Brogden, Brady Spenlinhauer, Brennan Hynes, Quinn Riordan, Seth Tobin, and Henry Lavion. Our top results came in with Drew Visnic who won 1st place in the Slalmon and finished 3rd overall! 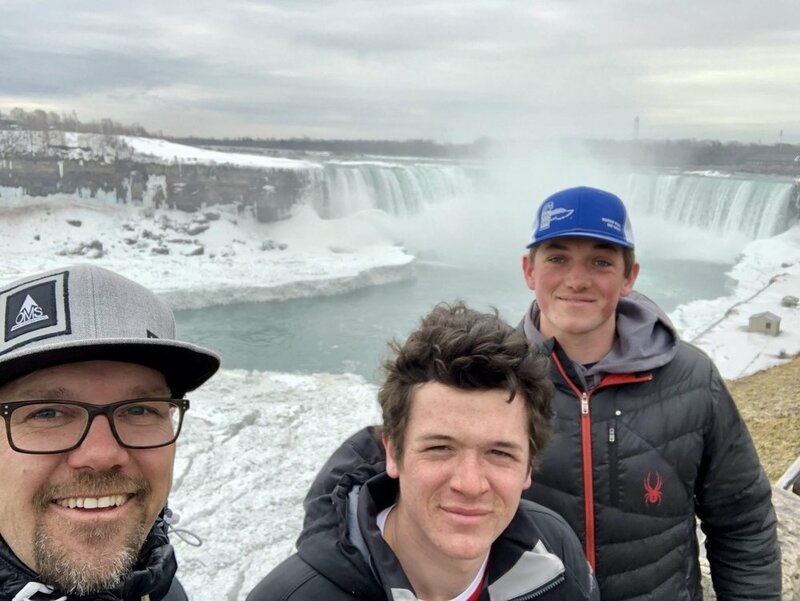 As for continuing the season, Drew Visnic, Ryan Thomson, John Kelleher made Eastern Championships. 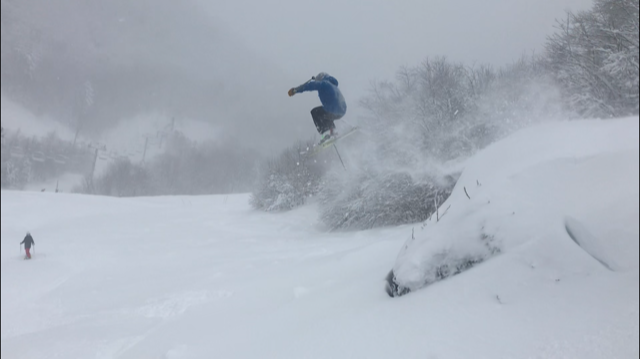 Brennan Hynes, Freddie Brogden, Chris Amato, and Joe Flaherty also made Eastern Finals. 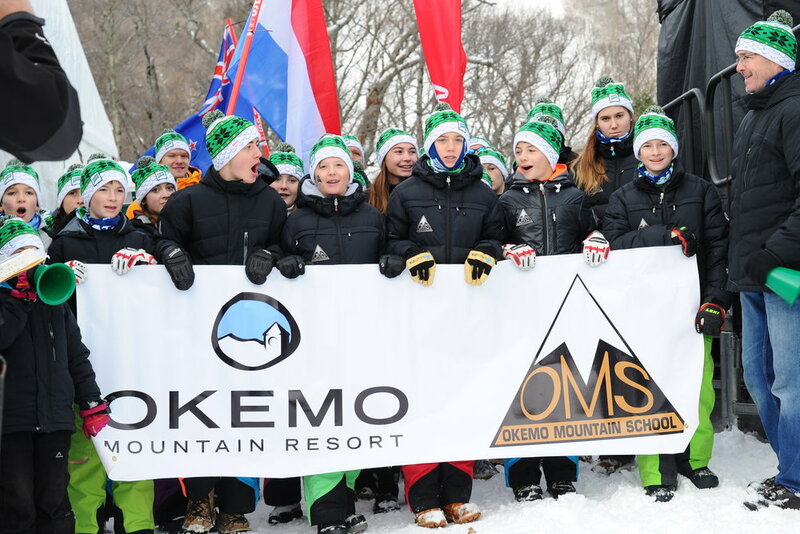 Congratulations to all of the Okemo Mountain School and Okemo Competition Center athletes for a great winter season! For complete results from any of the above races, click here. 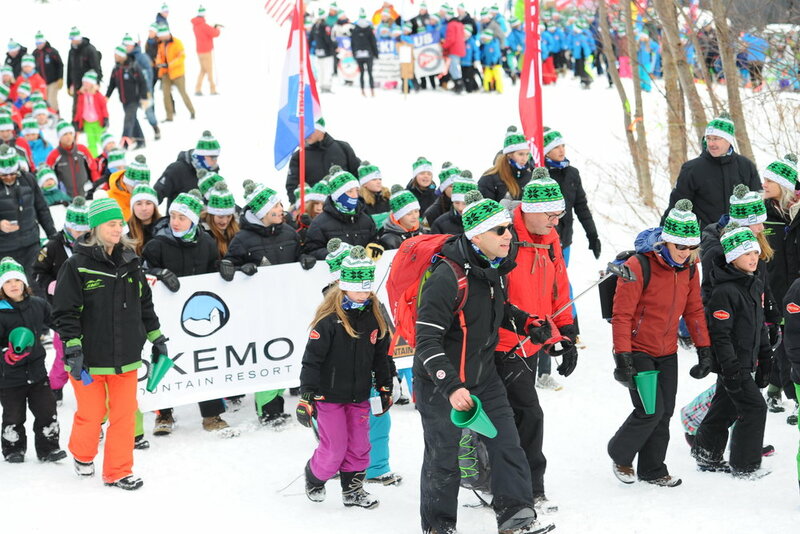 Our 9th Annual Okemo Mountain School Winter Festival was a huge success, raising over $45,000! 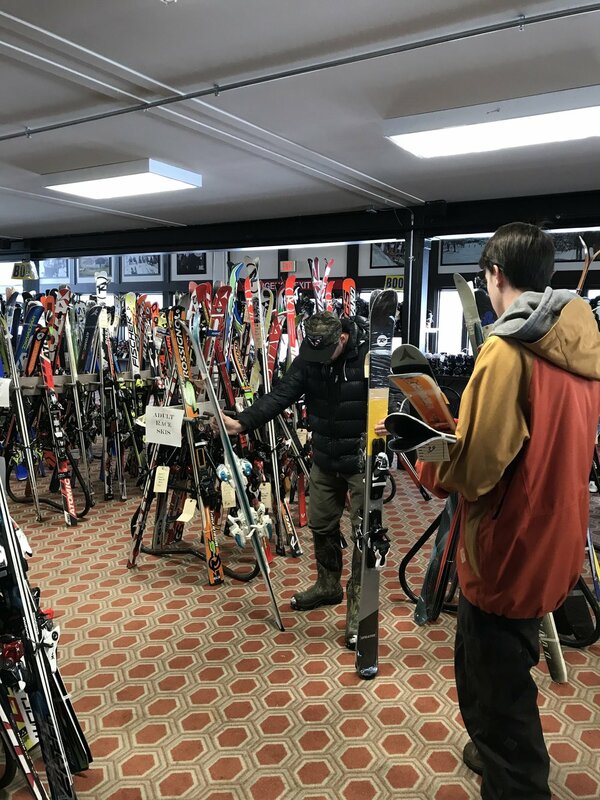 This was made possible through donated silent auction items, our campaign sponsors, and of course those who attended the event! Thank you to everyone who continues to support our school and student-athletes! 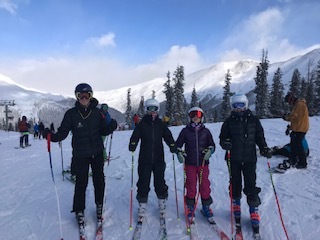 While in CO, sophomore, Margie Black, fresh off from her first US Grand Prix last week, also competed in the Toyota US Rev Tour hosted at Copper Mountain. 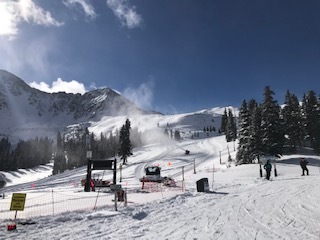 The Toyota US Rev Tour is a FIS sanctioned series in which there are 4 stops held at different locations across the US. 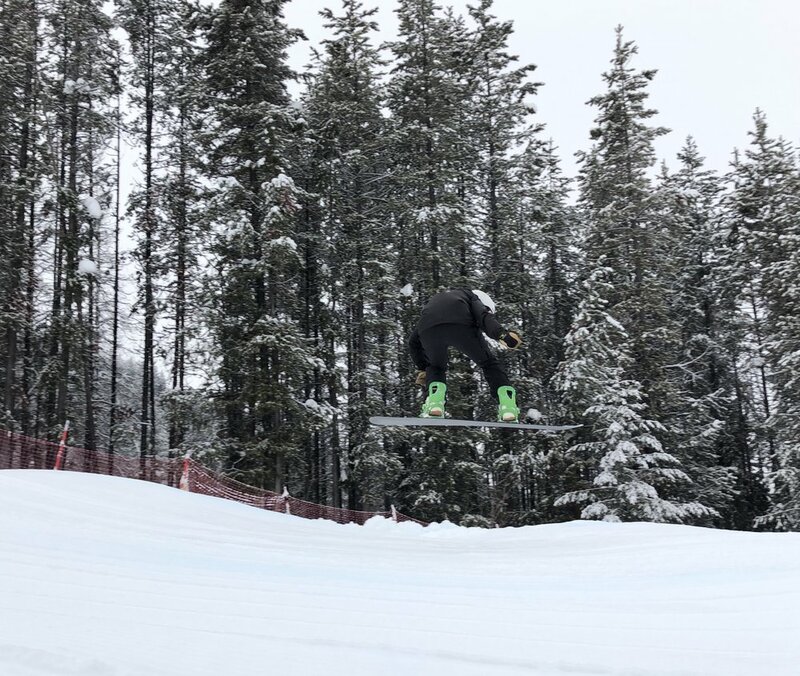 The first two stops at Copper consisted of halfpipe events, and Margie competed in the pipe on Tuesday and Wednesday in the doubleheader. 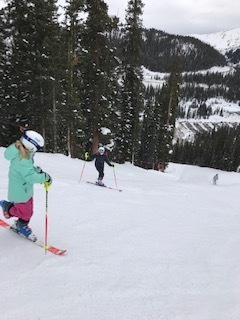 On Tuesday, Margie narrowly missed a top ten finish and landed in 11th place. 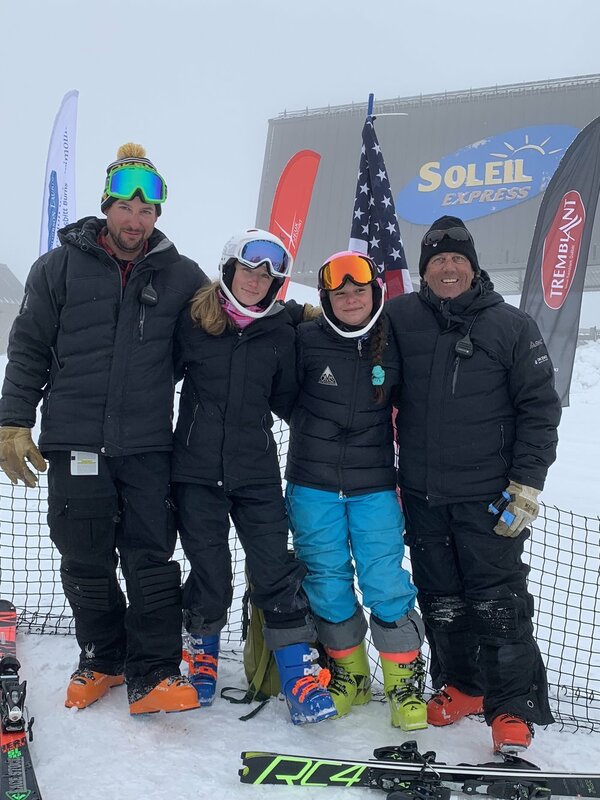 This was an amazing result as Margie was competing against the world’s top female amateur pipe riders in which 7 out of the top ten were international riders. 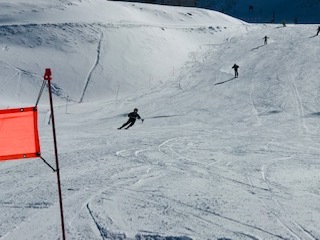 In her second pipe event held on Wednesday, Margie fell on her first run and landed her second (not so clean as the day before) which landed her in 17th place. 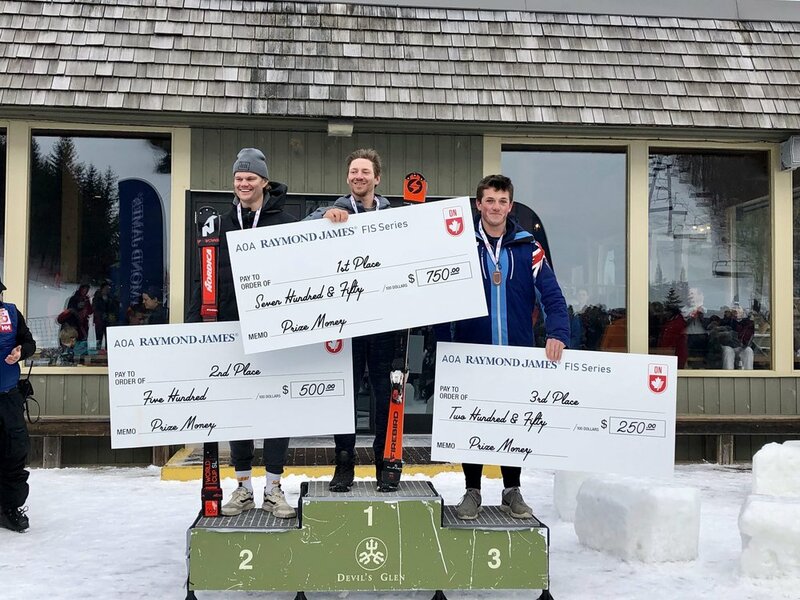 These larger scale early season events are a huge growing opportunity for OMS snowboard athletes as the FIS level events are opportunities to compete against the best amateurs in the US and in the world for that matter, as well as giving our athletes goals to work towards throughout the course of the season. 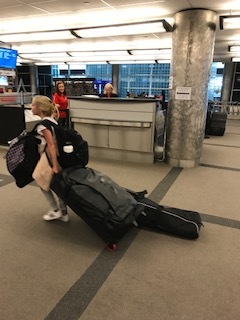 With very little pipe training leading into these events, we couldn’t be more proud of Margie’s efforts at the Grand Prix and Rev Tour over the past week! 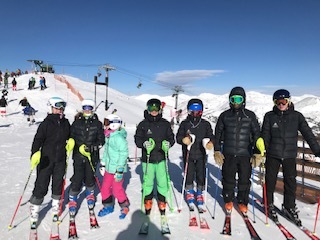 The second half of our Colorado Camp went very well and Eddie and Luke couldn’t be happier with the improvements the athletes made throughout the week. 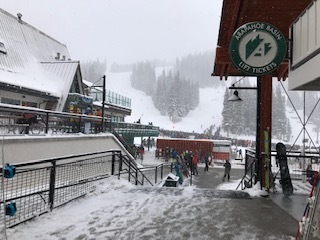 Last Sunday, they spent their last day at Breckenridge and arrived at the base with a pleasant surprise of 4+ inches of the lightest and fluffiest snow. 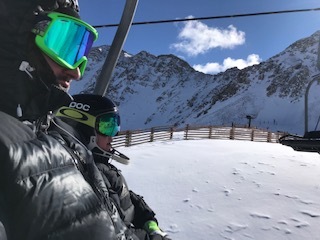 They took the Colorado Superchair and as they reached the top of the lift (around 10,000 ft), it became obvious that park training was not going to be on the morning agenda. 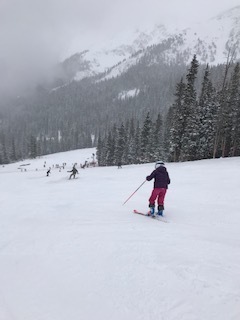 There was at least 8+ inches of snow as they climbed towards the top! 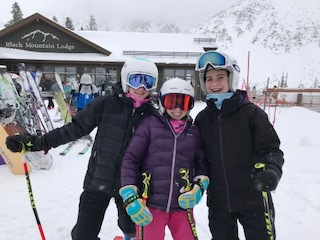 They made the decision to go up as high as they could go and took the Imperial lift and after a quick traverse, they descended upon Peak 7 Bowl and dropped in! 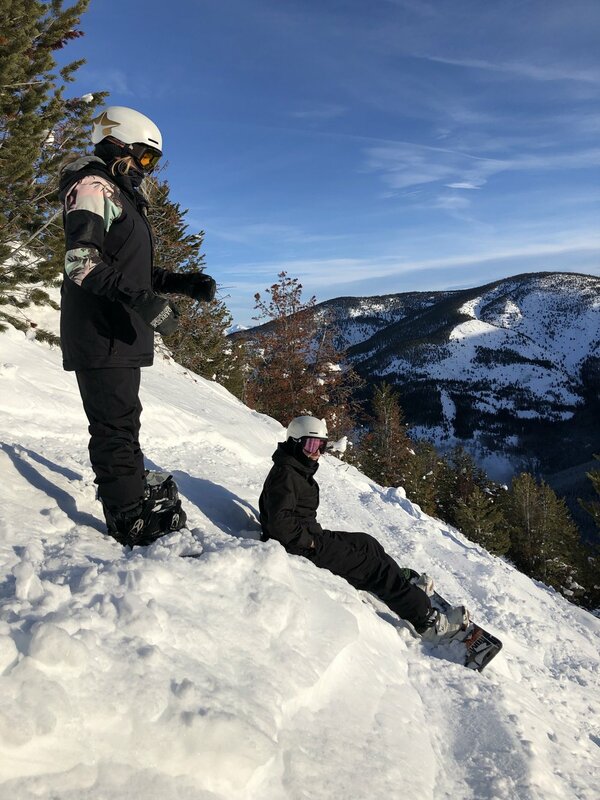 To their amazement, there was a foot of bottomless powder in the bowl and the kids were on cloud nine. 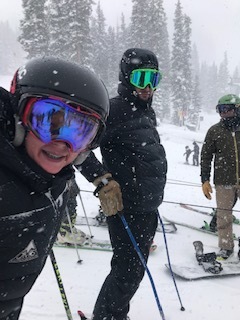 They dipped into the trees towards the bottom of the bowl and were privy to some insane woods runs all the way back to the base. 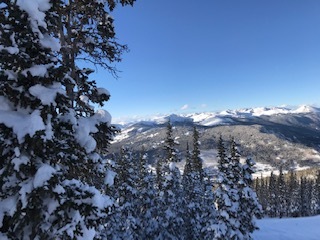 Descending a few thousand feet in deep powder is exhausting. but so worth it. 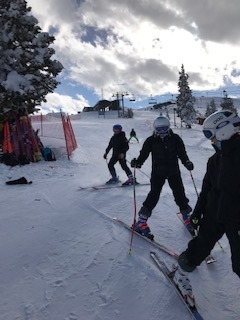 They spent the rest of their time in Park Lane which offered two lofty jumps and a variety of rails for the kids to train on. 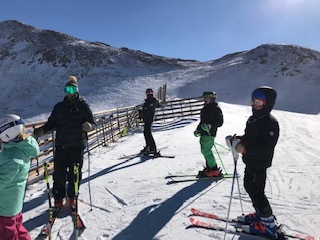 The athletes spent the remaining three days of the trip training at Copper Mountain. On Monday, Eddie spent the morning with our BX athletes working on a wide array of drills and the afternoon was spent in the park. 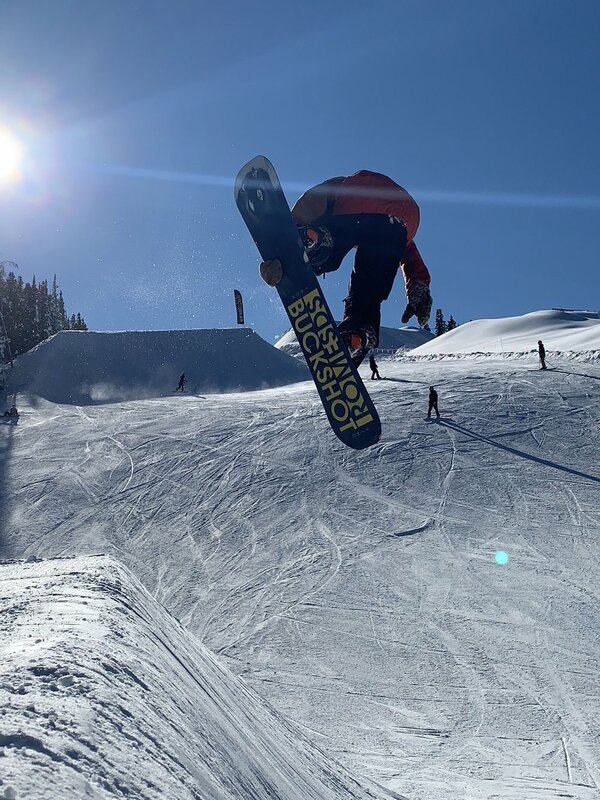 The athletes trained in the Woodward park on Tuesday and Wednesday, which had a triple pack of jumps which graduated in size in addition to a slew of rails and an assortment of creative jibs. 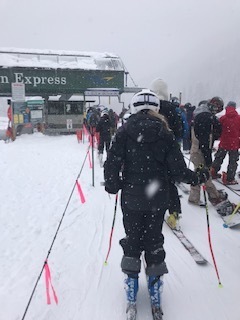 With a storm rolling in on their last day, they had to cut training a bit short to beat the front coming in and headed back to the condo to pack up and head to Denver. 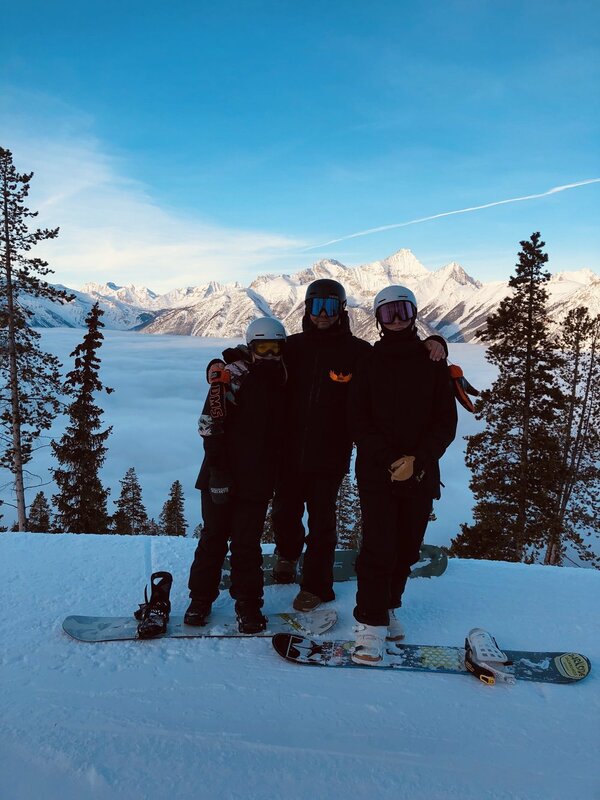 Eddie and Luke are very happy with our group of snowboarders and the effort they put in throughout the week. 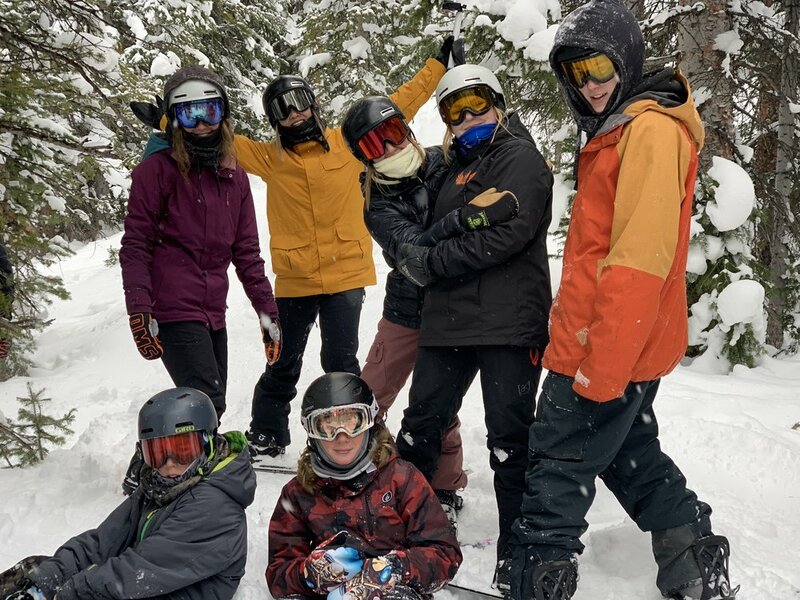 They are a very cohesive group who supported each other during training and pushed it hard every day while in CO. Each athlete progressed a great deal and there is no doubt that they all are coming home to Okemo as much better snowboarders.